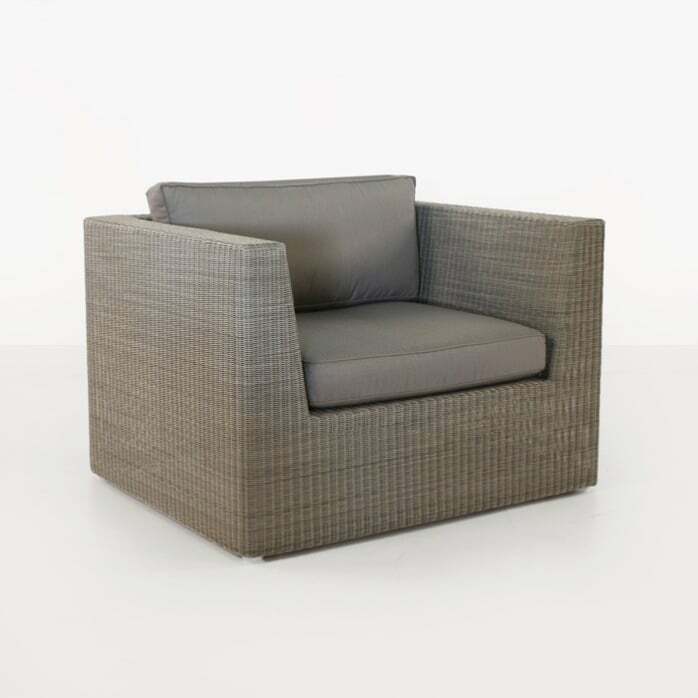 The Antonio Club chair is a contemporary synthetic wicker outdoor lounge chair that offers superior comfort and superior style. 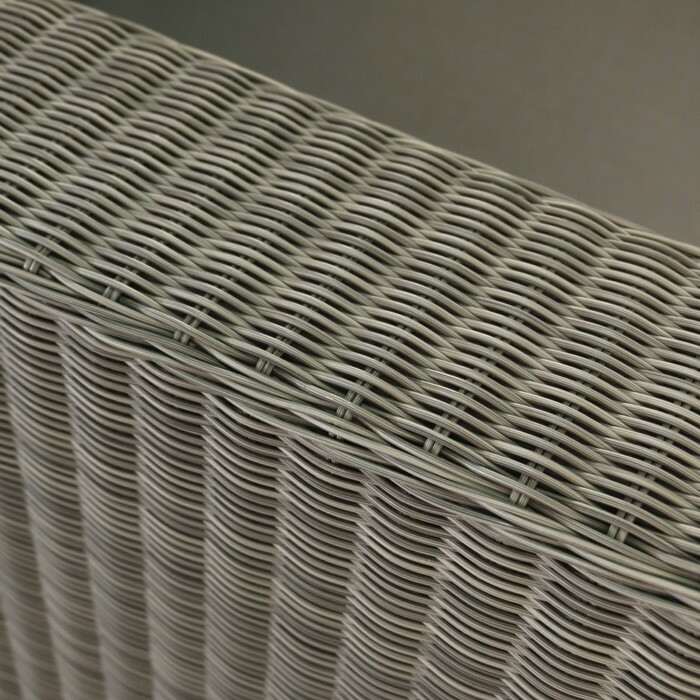 The fully encased powder-coated aluminum frame is wrapped in a Stonewash colored synthetic weave made with top tier outdoor wicker that fully reaches the ground. 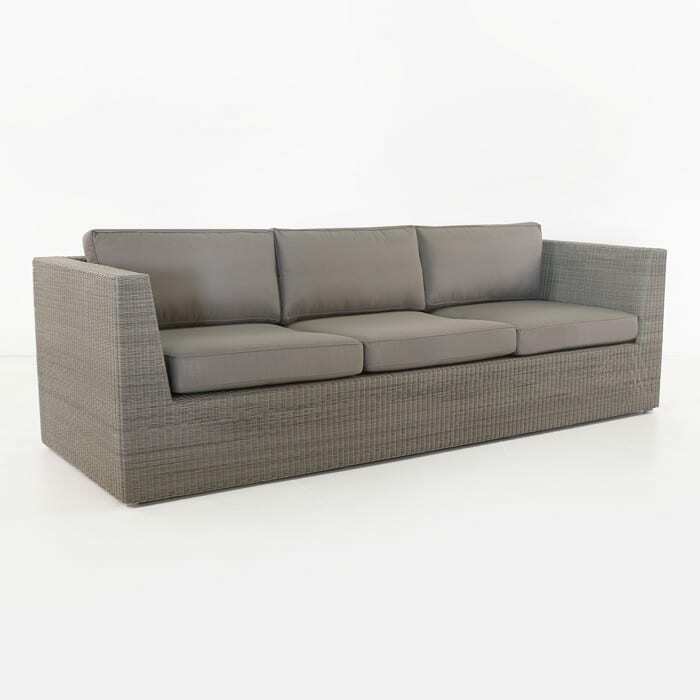 This sleek, angular design offers a fantastic look for any upscale outdoor space. 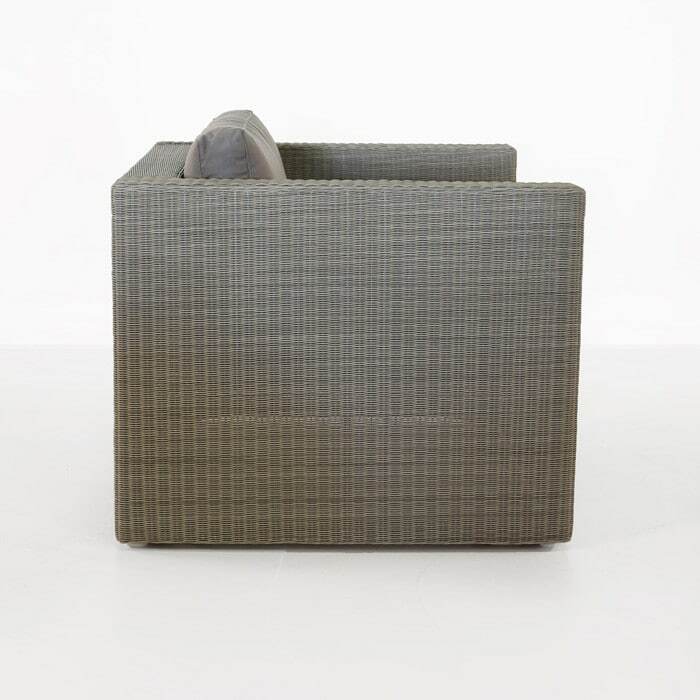 The tight weave and neutral color gives this club chair versatility, durability and ease of ownership. 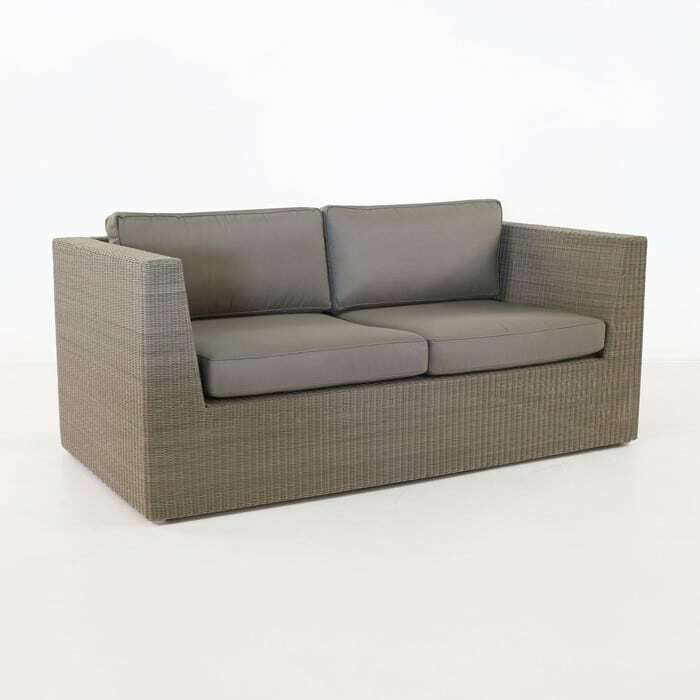 This outdoor wicker club chair is lightweight but firm, comfortable and spacious. 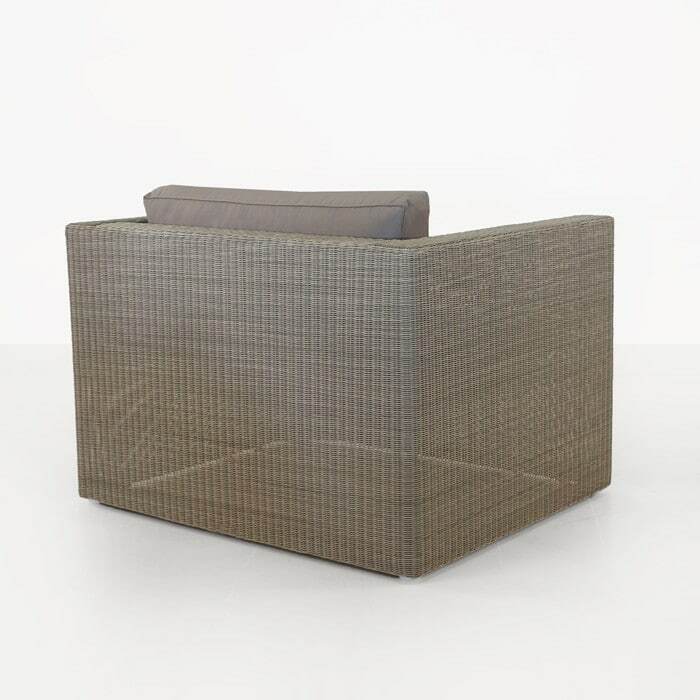 Perfect for a deck, porch or patio, this is a beautiful, contemporary design that flatters any space. The Sunbrella cushions are included free of charge as shown.